Are the sinks and work tables at your culinary arts program looking dilapidated? Are you in denial that your equipment stand was always a little wobbly? Perhaps your trusty pan rack has experienced so many bumps that it’s now bent out of shape? Regardless of the situation, refreshing your culinary program’s infrastructure is critical for student success. 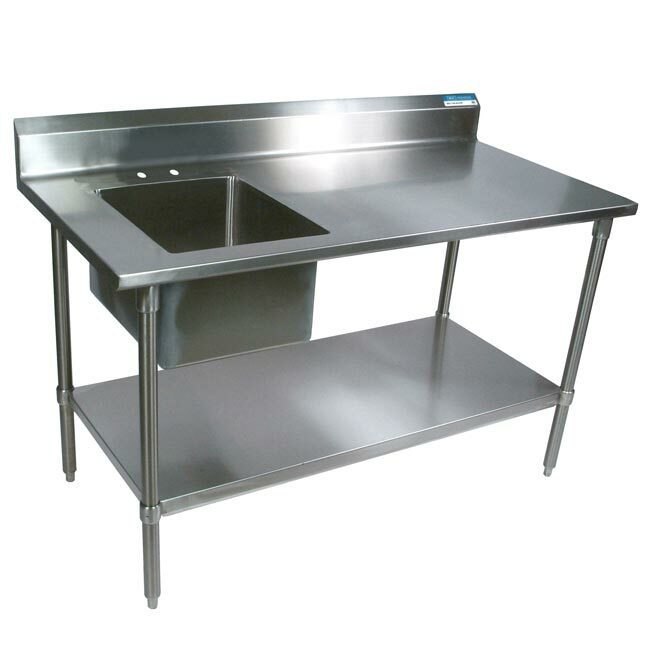 Our selection of modern stainless steel Compartment Sinks, heavy duty Bun Pan Racks, and Food Prep Tables ensure you can update your teaching equipment based on your budget. What should you be looking for? Your first act when picking a replacement part is to make sure the National Science Foundation has put its seal of approval on it. One excellent product endorsed by the NSF is the Stainless Steel Prep Sink by Shain. When you are working with food, you’ll want equipment that can meet the safety and durability standards of an independent and well-respected quality control organization such as the NSF. Food blogs, television shows and even Instagram feeds have put the foodie renaissance into full swing.